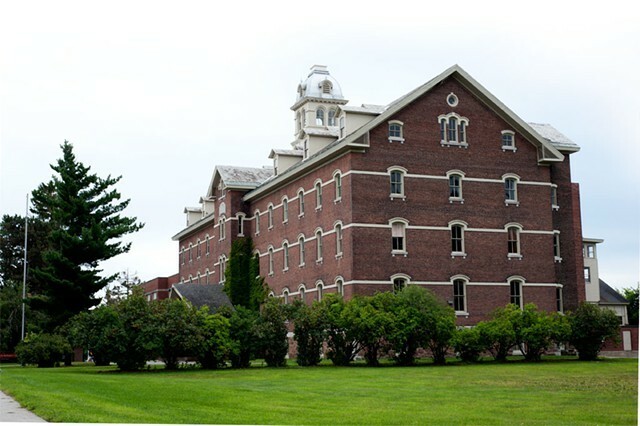 Developer Eric Farrell has won approval to convert a former orphanage currently owned by Burlington College into an apartment complex. The Burlington Development Review Board voted unanimously Monday evening to approve Farrell's application, granting him permission to redevelop the 19th century building into 63 studio and one-bedroom apartments. Burlington College bought the property in 2010 with plans to renovate the aging structure, but its financial problems got in the way. The college sold most of its lakefront campus to Farrell to reduce its debt, and officials also agreed last January to sell Farrell the former orphanage for $2 million. The college will continue to occupy a newer addition to the building. Farrell has agreed to give students who want to rent his market-rate apartments first priority. Farrell is also drawing up plans to construct nearly 800 units of housing on the land surrounding the orphanage, though he has not yet submitted an application to the city. While that project has already generated significant debate among residents, only a few neighbors showed up at the August 18 public hearing on the orphanage proposal, and no one attended Monday's meeting. The DRB also approved the Committee on Temporary Shelter's application to run a warming shelter on South Winooski Avenue in a building owned by the Champlain Housing Trust. COTS operated its day station out of the same building until a flood in 2012. Its executive director, Rita Markley, said Monday that the day station will return temporarily to South Winooski Avenue while the organization expands its headquarters on North Avenue. Open from November to March, the shelter will provide beds for the homeless, including people who have been using drugs or drinking, though substances won't be permitted on site. The Champlain Valley Office of Economic Opportunity ran what was widely considered a successful warming shelter last winter.